CRANBROOK, B.C. - The Western Hockey League's Kootenay Ice will relocate to Winnipeg before the start of the 2019-20 season. The league officially announced the move at a media conference in Cranbrook on Tuesday. The Ice have been playing in Cranbrook since moving to the British Columbia Interior from Edmonton in 1998. The team won the WHL championship and Memorial Cup in 2002 and also won league titles in 2000 and 2011. "The WHL appreciates the support we have received from the City of Cranbrook, the corporate community, and, in particular, hockey fans in the East Kootenay region,'' commissioner Ron Robison said. 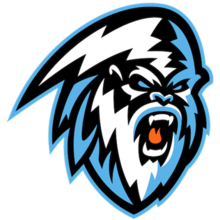 "However, after many years of monitoring the operations of the Kootenay ICE, it is evident this franchise is not viable in the market moving forward. Major junior hockey will return to Winnipeg for the first time since the Warriors relocated to Moose Jaw, SK., in 1984. The Ice franchise will join a saturated hockey market in Winnipeg, which includes the NHL's Jets and the American Hockey League's Manitoba Moose. Can't see them surviving there with the Jets and Moose. Good Luck! Actually, it will be the Moose who suffer, not the Ice. As I've said before, 72 MB kids on WHL rosters at beginning of season should afford the province a second team. Coming soon! Winnipeg WARR IORS vs Moose Jaw Warriors.